Brooks PureFlow 7: Get ‘em while they’re hot. Brooks just released the 7th version of the PureFlows in February. 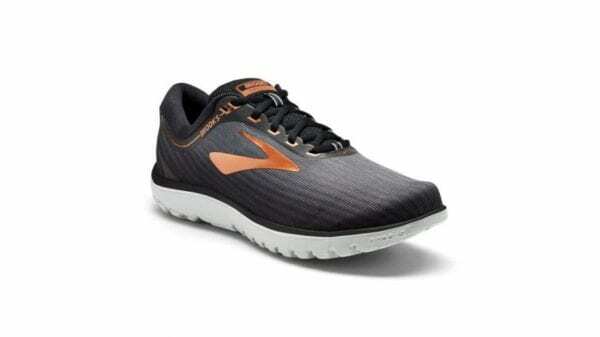 The name PureFlow sums it up nicely as they provide a smooth ride with adequate support without a lot of extra bells and whistles (weight) to a neutral runner like myself. 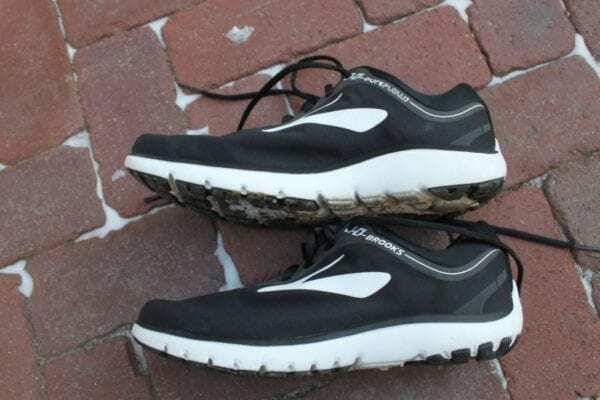 The “Pure” Series including the PureFlow was introduced in the fall of 2011, and I was right there securing two pairs (scuffed green ones in photo below). I also procured one of the PureGrits as well for my off road pleasures. I then skipped a few generations to put a couple of PureFlow 4’s to the test. 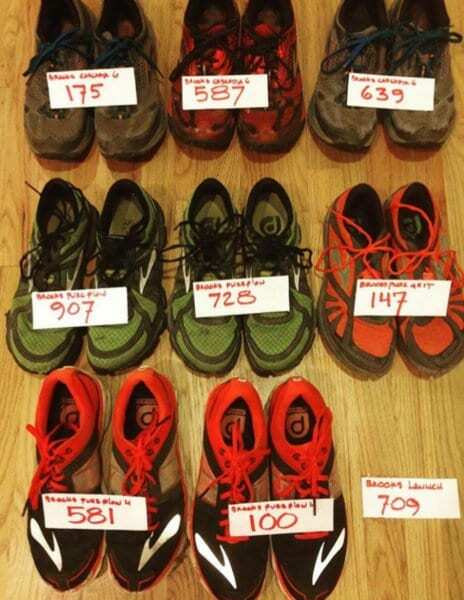 In my photo, you can tell I’ve also put a variety of other Brooks shoes to its limits. 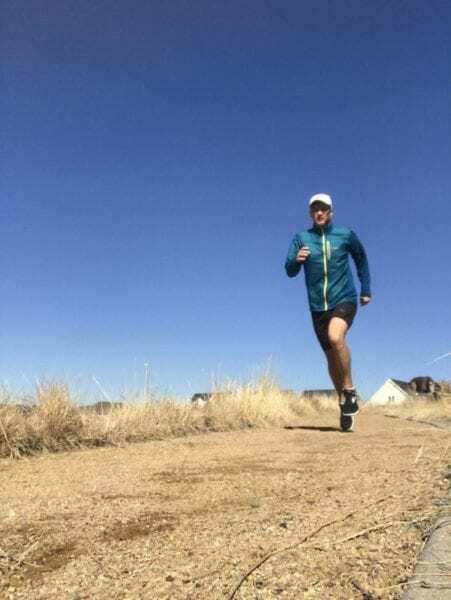 Needless, to say I have seriously pushed the mileage past it’s recommended life, but every time I wanted to retire a pair, I thought, “just one more run wouldn’t hurt” They were mostly easy 4-5 milers, and the miles kept adding up. The green ones have been put out to pasture, as well as the first PureFlow 4, but the other one with only 100 miles in the bank is still in the rotation. These shoes have been my main go-to shoe for all my major races; numerous half marathons, full marathons (including Boston 2016), half ironman, as well as a couple of full Ironman races. So, after having skipped a couple generations, I am really excited to see what changes and improvements have been made. Stack Height: 24 mm in the heel and 20 mm on the forefoot. Weight: 8.9 oz. (men’s size 9), 7.8 oz (women’s size 8). The upper design is quite unique. It features a stretch-woven exterior. The material for the Brooks PureFlow 7 is pretty much one continuous piece from the front to the back. The toe has a slightly supportive piece which holds it up, and then the heel cup is pretty solid from right below the ankle around to the back. Underneath that exterior is a soft internal sock-like bootie with a breathable membrane. The soft band around the heel allows for a variety of ankle types in that it has some give, yet feels supportive. Notice the Toe. There’s a sturdy rim around the front that helps with keeping the shape, and some breathing room for the toes. The lacing system is very minimal in design. No more eyelets, but more of rubberized band with slits in it to allow the laces to come through. This band kind of keeps the shoe together as it loops back around and ties into the heel cup. Biomogo DNA Lt foam is still the secret ingredient which gives this midsole its longevity and responsiveness. Inner and outer: again, fairly simple without a lot of color and design fluff to complicate things. The bottoms of the Brooks PureFlow 7’s haven’t changed too much in recent iterations. They are quite flexible, and very responsive to whatever surface you may be running on. 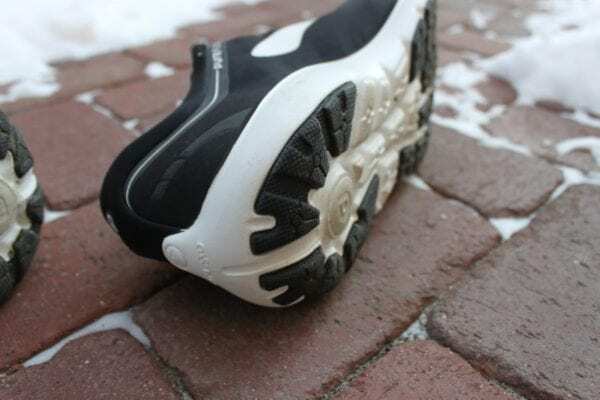 I always feel faster wearing these, because of the smooth ride, lightweight, and ability to absorb my weight and then propel into the next stride. I run a fair bit of compact gravel and on off road surfaces, so the slight openings have lodged the occasional small pebble. Not enough to be an issue as it usually works its way right out. It’s a small trade-off, because the individual pods do create that responsiveness while eliminating some weight. Individual sole pods on display. We talk about foot splay, and here the shoe is helping to splay and spread the energy out. Also, it will help with uneven surfaces. The cushioning is superb on these. Plenty of foam to provide support for a variety of runners. These do fit like a sock especially since there is not a lot of extra stuff on the top of the shoe. The lacing system is designed to be able to pull and tug at various points on the top of the foot to be able to lock in properly which prevents any back and forth foot movement. The Brooks PureFlow 7 should be a good option for a wide variety of foot profiles. I always wear my new kicks around the house for a few days just to get a nice mold to my feet. Then a few easy runs are on tap to make sure the shoes are going to work. After that, speed work, longer runs, and tempo sessions are in order to see what the Brooks PureFlows are made off. I didn’t anticipate any issues, but taking the necessary steps to properly wear them in seemed like the right thing to do. The EVA foam on my old retired ones had obviously compressed beyond the point of optimal cushioning. Hence, these felt nice, soft, and comfortable. I wore them like slippers over the holidays as it really didn’t feel like they were shoes. 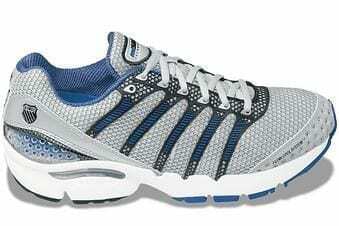 This is why I have always liked the PureFlows; adequate cushioning with low Heel to Toe Drop and great comfort. Having now pounded the pavement, asphalt, and loose gravel for the past few weeks, the Brooks RureFlow 7 has conformed nicely to my foot. Something would have to be really be off for me to not like these, so keep that in mind. They are really comfortable. That said, I’ve never gone the uber soft and over to the thick sole running trend which I know has really caught on these last 3-4 years. I usually lace up pretty tight! I do not like any sliding or slipping, and I am not a fan of hotspot or blisters. Obviously, too tight is not good either. I think I kind of figured that out over time. If I’m running easy at 9:00 minute pace, the laces do not have to be all that tight. When I do speed or tempo workouts, I do give them that extra tightening cinch. I have gone 12 as my longest on these to date. It is the off-season, and I really have no purpose or desire to go much longer in the near future. Hence, this was a “long run” for me. The Brooks PureFlow 7 performed as expected. I did not experience any discomfort, slipping, or soreness on the bottoms of my forefoot. I did stop about 3-4 miles in to tighten those laces a bit. My foot felt a little free, but a quick readjustment, and I was good for the rest of my run. First of all Brooks’ logo is pretty simple in its own right, but with the completely black (in my case) upper, they have kind of a stealth look to them. The white-wall side tire look, may get a bit scuffed and dirty over time, but all in all, I think they hit a stylish factor of 8 out of 10. I’m not into super loud statement shoes, so simple, clean, and smooth will do just fine. I can’t wait for my first race in a few weeks to put some them to test in a 5k. 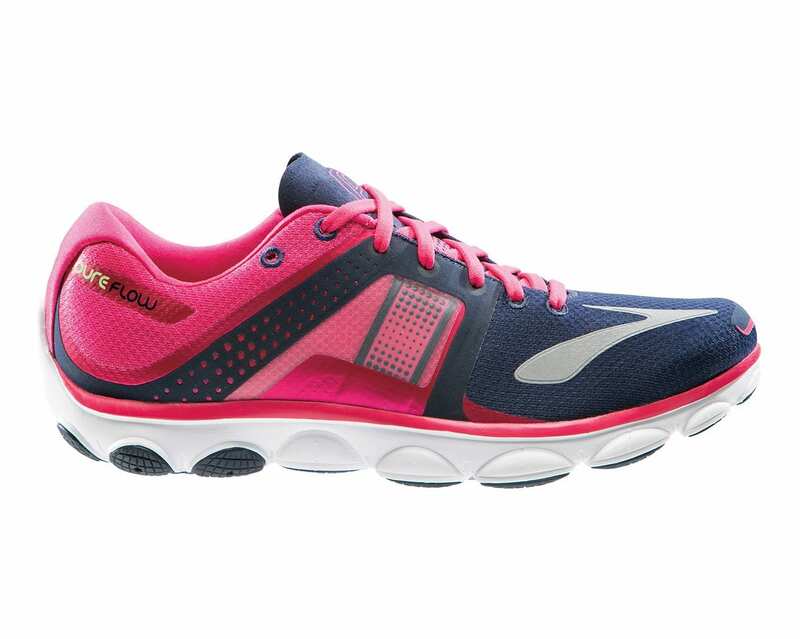 The Brooks PureFlow 7 is a very simple yet effective shoe. It’s for the neutral runner looking for just enough cushioning to be able to go the distance, yet light enough to also use them as your shorter distance race shoes. 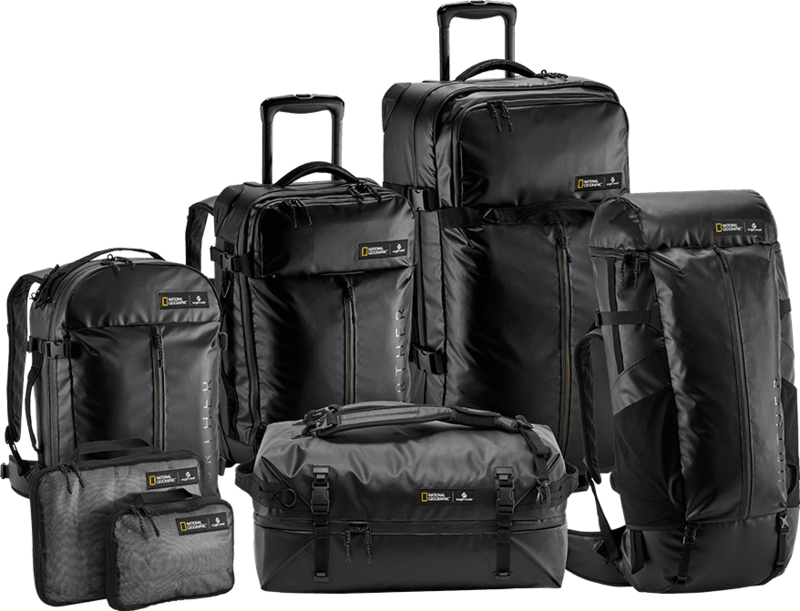 At a reported $100 msrp., these won’t set you back too much either. Overall, I really like them for its smooth ride while still allowing for a decent amount of support. 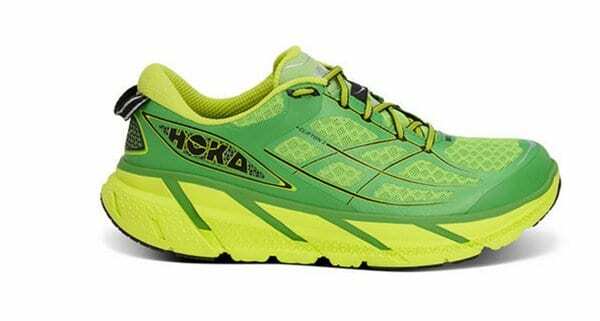 Go to your local run shop, and try a pair out. Well worth it my opinion.